Last Monday, the Winn Feline Foundation published an article on cat food and low thiamine levels. In it, they revealed something that Tufts University's Cummings School of Veterinary Medicine discovered while researching feline nutrition. They found a pattern in the FDA's published listings of cat food recalls: specifically, over the past 5 years, SIX cat foods have been recalled for low levels of thiamine. They wondered if this was a growing trend, so they sampled various canned cat foods for thiamine levels. Their sampling included 90 cans, covering 45 different brands. What they found was that over 13% of these cans did not meet the minimum requirement set by the AAFCO (Association of American Feed Control Officials). That's 12 cans out of 90. What's more, over 15% of them missed the minimum requirement set by the National Research Council. That's 14 our of 90 cans. Within these trends, it appeared that pate-style foods were bigger offenders, as were smaller, non-national name brand companies. It's the recommendation from the Tufts research team that pet food companies be more careful to measure the thiamine not just prior to but after processing, as sometimes significant thiamine loss can occur during the canning process. and why do cats need it? The National Institutes of Health tell us that thaimine (also known as B1) helps the body's cells change carbohydrates into energy. Thiamin also plays a role in muscle contraction and conduction of nerve signals. So what would thiamine deficiency look like in cats? 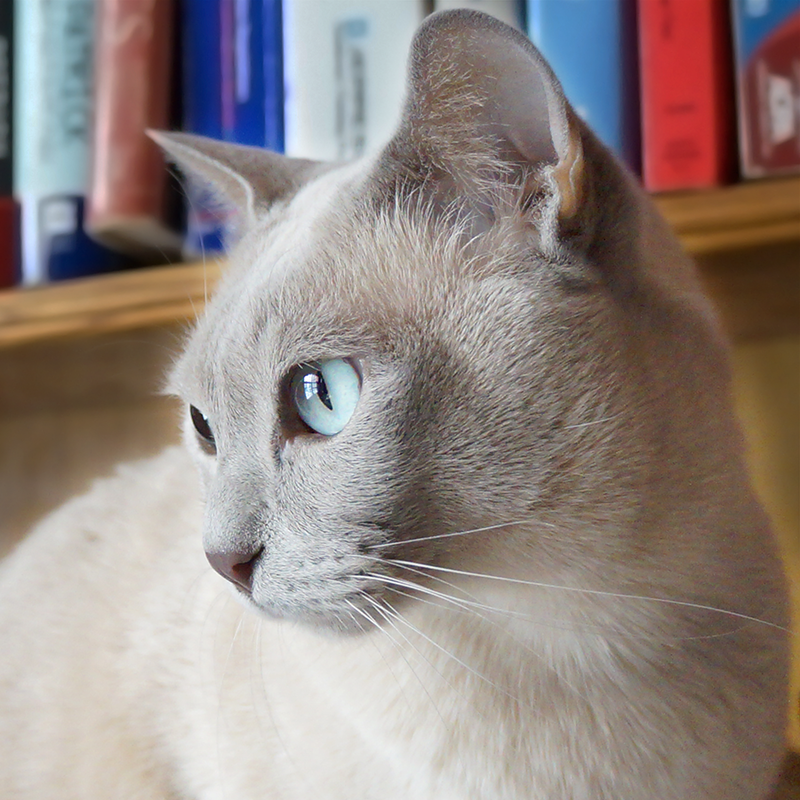 The Tufts group recommended that veterinarians consider testing for thiamine deficiency in any cat presenting acute neurological dysfunction, especially if it's accompanied by gastrointestinal issues. That is interesting re B1 and we wonder if it the same with dog food? Off to check it out. Have a marvellous Monday. This just goes to show that no single food can be complete and balanced, and why it's important to feed a variety of brands. Thanks for sharing this important information. This is an EXCELLENT point! We are currently feeding three different brands, and want to experiment with others, not only to ensure they have the best quality food, but also in case for some reason, a finickiness sets in and some day a current brand is on the feline "do not eat" list! Very interesting. This just reinforces my reasons for needing to get back in to making my cat's food myself. I was doing it for a while and then fell out of the habit when we were busy with our move a couple months ago. I need to get back into it! We wish we had the time to experiment with that as well. It's a bit scary to tackle making your own, for the same reason: what if what I make doesn't have enough thiamine, ash, magnesium, taurine...? Still, there's nothing like the quality control you can implement right at home, doing it yourself. My human always worries that we are not getting enough of what we need in the food we eat - even though she pays top dollar for premium brands! We wonder why there isn't a feline version of a human blood panel that checks for various deficiencies? Of course, our human just discovered that this year's medical blood draw at work has chosen to exclude measuring vitamin D - which she KNOWS she's deficient in...so maybe humans aren't that "with it" either! That really is a scary thing and we never really know what we are eating! That is scary, that is for sure. Wonder which brands are lacking in the thiamine?? Probably the less expensive ones. Thanks for this report. Take care. another take on the thiamine issue.. I have to wonder if the pate versions of food are more likely (as you mention) because the 'chunked' food assumes it will be destroyed in the processing and add synthetic to counter it.. I don’t eat much pate which i believe is where most of the deficient food was found although TW thinks I have neurological problems cos she thinks I’m psycho. HAH! The only vitament TW takes is her vitamin D3 cos it’s so essential to staying healthy and it’s in so few foods she eats. She’s a regular D3 encyclopedia. Thanks for the shout out. This whole issue is still really troubling, since there's no "naming names" other than looking into who was recalled for thiamine deficiency. You're right, we should rotate brands more than we do to try to at least spread out the risk. It's frustrating that we have to consider this!